Lenora Laverne Ross was born June 28, 1950, to Curtis & Mamie Ross in Temple, Texas. In 1952, she was adopted by Rosana and Robert Samuels and raised in El Reno, Oklahoma. Lenora attended Booker T. Washington and later graduated from El Reno High School. Lenora received an Associate Degree in Health Science from El Reno Junior College. She worked as a care provider in nursing homes and private homes for over 35 years. 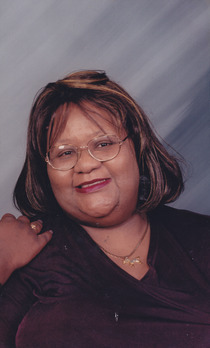 Lenora was a faithful member of New Providence Baptist Church. You could always find her at her post as Building Fund Chairperson, Program Chairperson, whatever needed to be done she was always willing. Lenora was united with William Gross in 1978, in this union Royce Samuels, Patrice Gross, Leon Gross and Youlanda Gouldsby-Boyd. Her parents, 2 children and 2 sisters preceded her in death. She leaves to mourn: her husband William Gross of El Reno; her sisters Mrs. Kermit (Mae) Lehman of Oklahoma City, Ok, Mrs. Sandra Jackson of Spencer, Ok; her children Royce Samuels of Tulsa, Ok, Patrice Gross of El Reno, Ok, Leon Gross of El Reno, Ok, and Youlanda Gouldsby-Boyd of Coleen, Tx. Her grandchildren Tyler Sonsella of Au Claire, Michael Crisp of El Reno, Alize Footman of Edmond, Ok and Tre'Von Frazier of Oklahoma city, Ok and a host of nephews and nieces that are like her children and great grand nephews and nieces, relatives and friends. A special thanks to her loving niece Rhonda Nephew for being her caring provider. On behalf of Wisconsin AAU, Keith,Mark, Kara, Chuck and AAU coaches, we would like to send the Gross and Samuels family our deepest sympathy for your loss. SHADES OF ELEGANCE was sent by the Noll family.